During this lovely season of giving and gifting, I am excited to share something dear to my heart: a brand-new website, completely redesigned by the brilliant web designer Madeira James of xuni.com. She created my very first site ten years ago but after a decade online and more than 1.7 million visitors from countries around the globe, we felt ready for a new look. 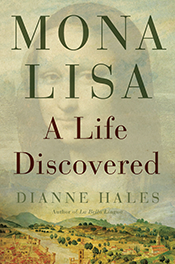 The new site includes excerpts and information on my previous books on Italy: LA BELLA LINGUA and MONA LISA: A Life Discovered. It also showcases my upcoming book, LA PASSIONE: How Italy Seduced the World. You can preorder a copy now and check the website for updates as we count down to its official publication date of April 16, 2019. This is also the season for heart-warming stories. One of my favorites, which I came across while researching LA PASSIONE, is set in the postcard-pretty Tuscan town of Castiglion Fiorentino. The Friends of San Filippino, a nonprofit created by Rita Morgan Richardson, an Italian-American from Nashville, is raising funds to restore an abandoned Baroque chapel that has fallen into ruin. Click here to watch a video summary of the group's progress, with uplifting music and messages sure to fill your heart with joy. As we celebrate feasts and families, I thank all of you for your continuing support and friendship and extend warmest wishes for a Merry Christmas and Happy New Year. 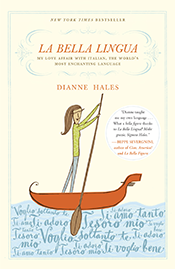 Dianne Hales is the author of LA BELLA LINGUA: My Love Affair with Italian, the World's Most Enchanting Language, MONA LISA: A Life Discovered and the upcoming LA PASSIONE: How Italy Seduced the World. Italians don’t observe the all-American holiday of thanksgiving (la festa del ringraziamento). There are Italian words, but no cultural equivalents for the Pilgrim fathers (padri pellegrini) and the American Indians (Amerindi) who came together to celebrate the harvest (il raccolto) in the new world (il Nuovo Mondo). Italians do eat turkey (tacchino) and pumpkin (zucca) but not in the traditional way (modo tradizionale) that Americans prepare them on Thanksgiving. Yet Italian has a wonderful array of ways to say thank you: grazie (thanks), grazie infinite (endless thanks), grazie mille (thanks a thousand, literally, but it translates as thanks a million), molte grazie (thank you very much), and grazie di cuore (thanks from the heart). *Il più affettuoso grazie per...la cena, il regalo, ecc -- most affectionate thanks for...the dinner, the gift, etc. *Prego -- please, not at all, comparable to "you're welcome"
And then there's my husband's favorite: L'onore e tutto mio! 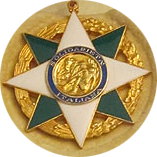 -- The honor is all mine. Grazie, a buon rendere! -- Thank you, I owe you one! I love everything about la cucina italiana, whether you translate it according to a 13th-century definition as the place where food is prepared or according to a 14th-century definition as “l’arte di preparare il cibo” (the art of preparing food). I particularly enjoy Italian's rich culinary vocabulary. Alta cucina (haute cuisine) descends from la cucina principesca, the refined dishes prepared by the cooks of the nobility. Cucina povera (cooking of the poor or peasant cooking) refers to a now-fashionable mode of Italian cooking that uses the basic ingredients that were the only things available to i poveri (the poor). Italians’ (and my) favorite cooking is cucina casalinga (home-cooking). In cucina (in the kitchen) I like to read aloud the lilting words for simple culinary techniques such as rosolare (make golden), sbriciolare (crumble) and sciacquare (rinse). But Italian’s gastronomic words do more than tease or appease the appetite. They spice up daily conversations. “Cosa bolle in pentola?”( What’s boiling in the pot, or cooking?) Italians ask when they want to know if something is going on. Gotten yourself into a mess? You’ve made an omelette (fatto una frittata). Fed up and can’t take any more? You’re at the fruit (alla frutta) or the final course. Have a crush on someone? You’re cooked (cotto). Italians compare a busybody who noses into everything to prezzemolo (parsley), They call someone uptight a baccalà (dried cod); a silly fool, a salame (salami); and a bore, a pizza. They dismiss a story told time and again as fritta e rifritta (fried and refried) and something that’s all sizzle and no steak as tutto fumo e niente arrosto (all smoke and no roast). This month Italian cultural centers are celebrating la cucina italiana with special events in San Francisco, Los Angeles and other cities. Their theme provides words to live by all year long: Eat, drink and be Italian! “For the moonglow,” I reply, only half-joking. I could have answered with a single melodic Italian word: gibigiana (spelled in various ways, including gibigianna). I learned it only recently, from an Italophile as besotted as I by the reflected moonlight (chiaro di luna) on the Tyrrhenian sea off the Tuscan coast. An Italian dictionary defines gibigiana as a “balenìo di luce riflesso dall’acqua o da uno specchio” (flash of light reflected from water or from a mirror). Considered old-fashioned and little used (poco utlizzata) in modern times, it dates back to the fairy tales grandmothers (nonne) once told about a gianna (witch or fairy, a word derived from the name of the goddess Diana) or a giubiana (ghost). While gibigiana comes from the Lombard dialect, other regions use different expressions to capture this sparkling effect: fare specchietto (make a little mirror) in Lucca, bagliore (glimmer) in much of Romagna, indovinello or illuminello (riddle or puzzle) in Pisa and Livorno, la veccia (the old woman) in Piedmont, lo spirito folletto (the hobgoblin or elf) in Modena. Italian designers refer to a certain style of lamp as a gibigiana. Film-makers use the term for a device placed in front of a light source as a filter. In slang gibigiana colorfully describes a woman who dresses in a “flashy” style—glittery rather than elegant. Gibigiana is only one of the magical powers of una luna italiana. Equally impressive is the rising of una luna rossa (a red moon). Scientists explain this as un’illusione ottica (an optical illusion) that occurs when the moon is bassa sull’orizzonte (low on the horizon). La luna, which can be nuova (new), crescente (waxing) or calante (waning), doesn’t just appear in Italy's night sky. Someone with extravagant wishes is said to chiedere la luna (ask for the moon). Italians refer to a fetus as being ancora nel mondo della luna (still in the world of the moon or not yet born). Some folks are so absentminded or detached from reality that they seem to vivere nel mondo della luna (live in the world of the moon) while others are in such bad moods that they avere la luna storta (have the crooked moon). In hard times people find themselves struggling to sbarcare il lunario (make ends meet). An Italian lunatico may be temperamental but isn’t necessarily as wacky as an English lunatic. But do watch out for anyone who tries to fare vedere la luna nel pozzo (make you see the moon in a well). He’s just stringing you along. And you certainly don’t want to end up doing as the local dogs do: abbaiare alla luna (barking at the moon—or exerting yourself in vain).